New York Yankees star third baseman Alex Rodriguez wore this navy Yankees warm up jacket during the 2007 season. Rodriguez was the American League MVP in 2007, leading baseball with 54 homers, 156 RBI, and 143 runs scored while hitting .314 with 24 steals. Rodriguez also notched a career-high .422 OBP while leading baseball in slugging percentage (.645) and OPS (1.067). This jacket is a half-zip, with the Yankees iconic interlocking “NY” logo sewn on the left chest in white tackle twill. A MLB logo patch is sewn on the back of the jersey. 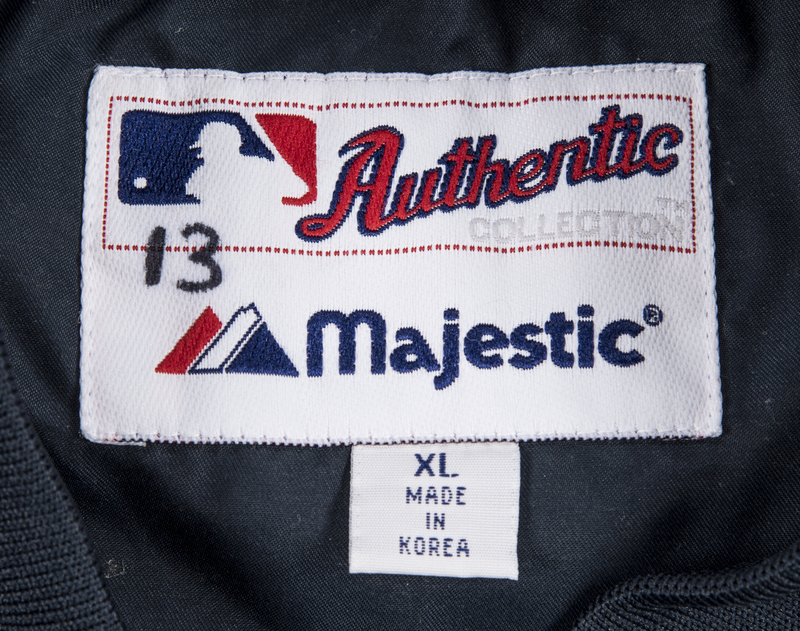 A Majestic tag with an attached size “XL” flag is sewn on the back inside collar. Rodriguez’s number “13” is hand-written in black marker on the tag. 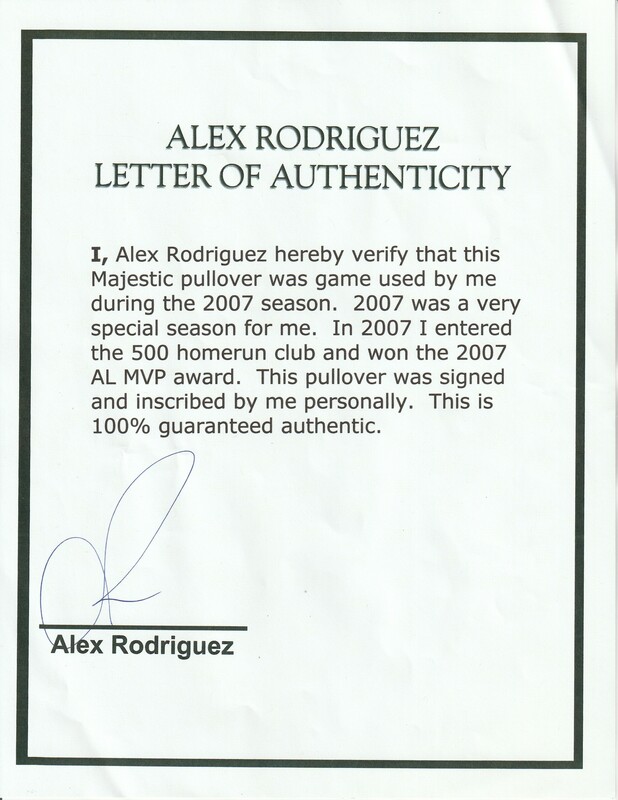 Rodriguez has signed the chest of this jacket in silver marker, inscribing “2007 MVP” below his signature. 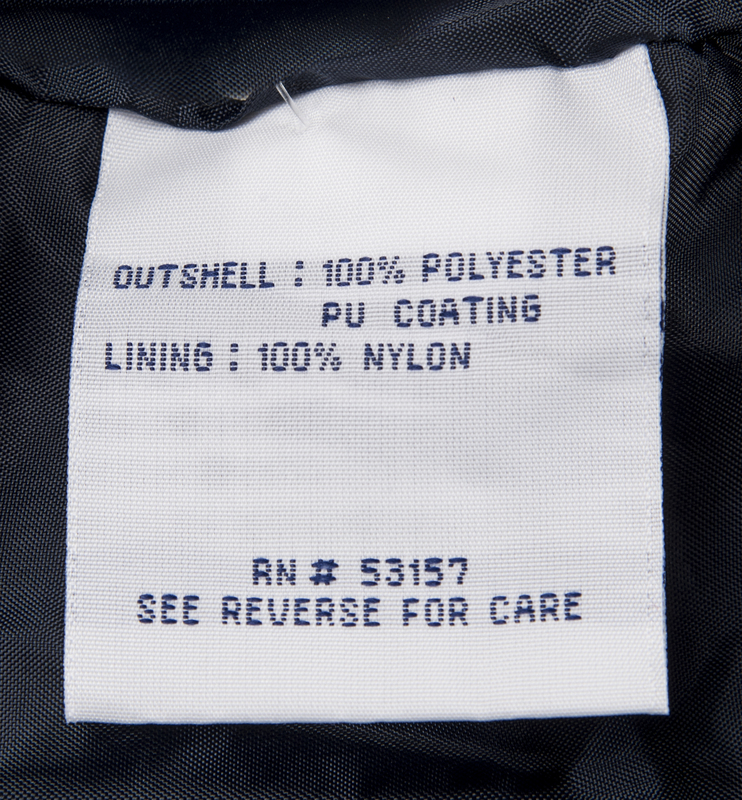 This jacket comes with a LOA signed by Alex Rodriguez.